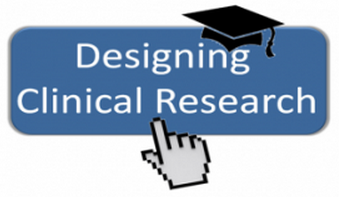 August 1, 2011 marked the official start date for Designing Clinical Research (DCR) for Students and Faculty. The majority of scholars will assemble on Monday and Wednesday mornings in the traditional lecture hall at the Parnassus campus. Twenty self-selected learners will take the course completely online via the UCSF Collaborative Learning Environment, AKA Moodle. The online course site was made available to students at noon on Tuesday, July 19. At 4:14 pm that same day, the first student logged in, explored the site, and posted an introduction. By 6:00 pm, two more students showed up and began to interact with each other. Remember! The course does not officially begin until August 1. This course about research also doubles as research. Co-faculty, Kirsten Bibbins-Domingo, MD, PhD and Deborah G. Grady, MD, MPH along with researchers, Sarah Wilson, MD and Lawrence Haber, MD, as well as instructional designer and online learning consultant, Chrisanne N. Garrett, MAED will study the first offering of the online course. This small pilot study aims to answer the following question: how do learning outcomes, including knowledge and skill acquisition, and learner satisfaction compare between health science students who take the online DCR course and students in the traditional course? The DCR course is structured to foster the development of students’ ability to write a clinical research proposal. For the final assignment, students write a five page proposal of their research study. We plan to take the twenty proposals written by the online students and compare them to twenty proposals randomly selected from the traditional course. Two K Program scholars, blinded to the author of the proposal, will read all forty proposals and rate the proposal based on the NIH scale of 0-9. We will then compare the scores of the online students to the scores of the traditional students. Additionally, we will collect formative and summative evaluation data from the online learners on both learning progress and satisfaction with the online learning environment. This blog will serve as an ongoing report on the online course and, ultimately, on the results of the research study. Your questions and comments are most welcome.